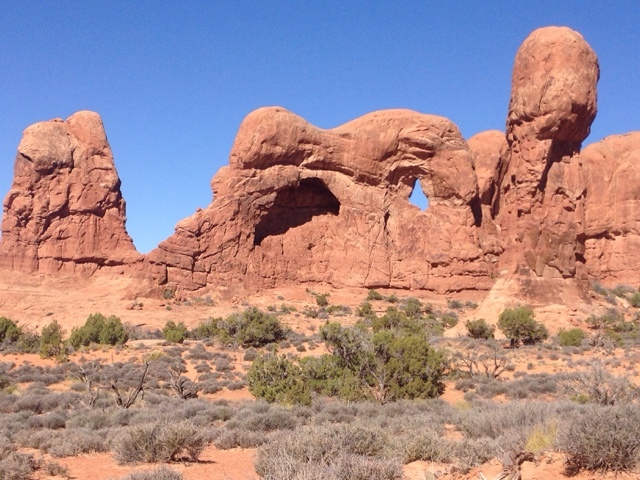 This is the 5th and final installment of my visit to Arches NP. 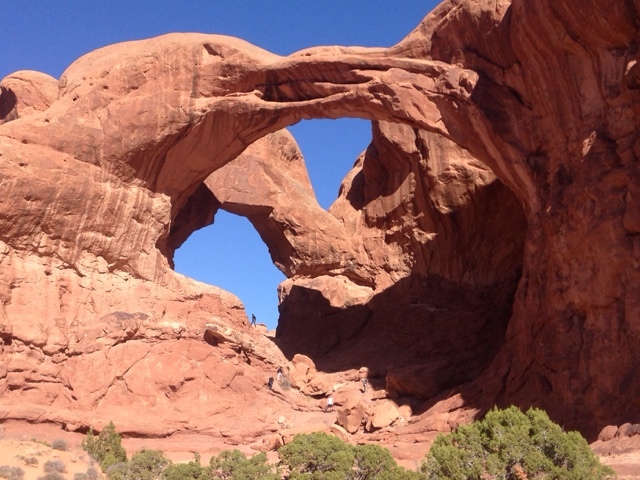 Double Arch is located in the same area as Windows & Turret Arches so if you are aggressive in visiting the arches you possibly could have seen this arch the day before. 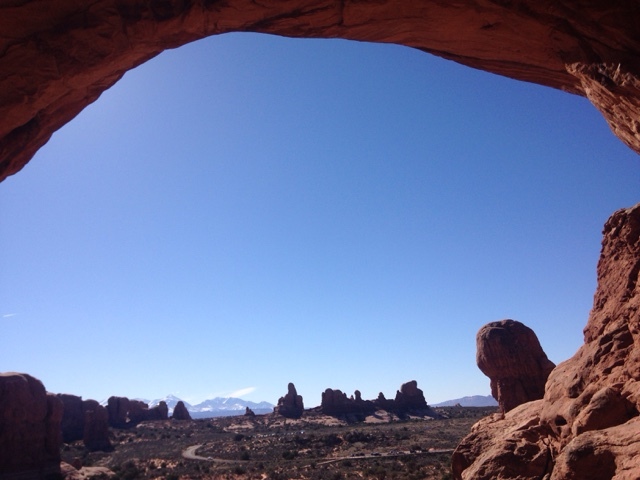 Here I'm sitting under the Double Arch taking a photo off in the distance. Off to the left of Double Arch is this extended rock formation called "The Parade of Elephants" with a small arch in it. There is also the formation of a future arch here and many other places in the park. I hope many of you get to come to Arches NP at some point to see the beauty that nature offers here, like no other place on earth.